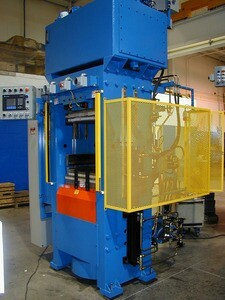 The 400-TON CURE PRESS is a single daylight press, designed to operate with positive molds. There are two choices of press programs that can be selected via the display screen. The program may also be adjusted internally to the needs of the customer.